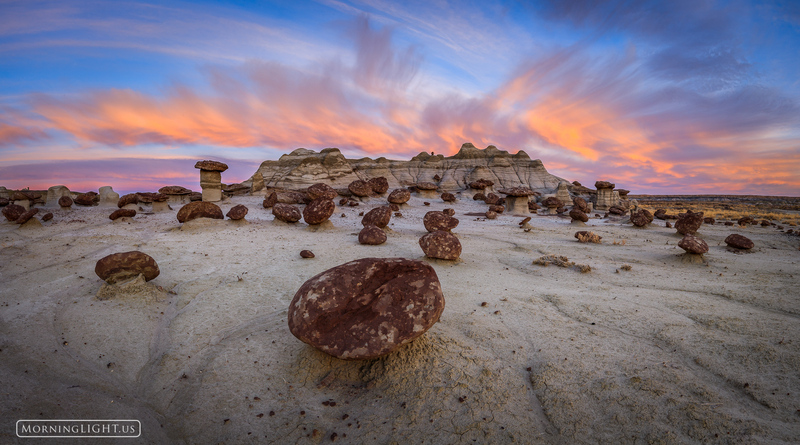 As day breaks over the desert of the Bisti Wilderness in New Mexico the world awakens to life. For a few moments, all of creation seems to sing with joy. Even the rocks appear to cry out with words of praise to their Creator. Then, just a few minutes later, all is again quiet. A deep stillness covers the land as it goes back to patiently waiting. Photo © copyright by Erik Stensland.